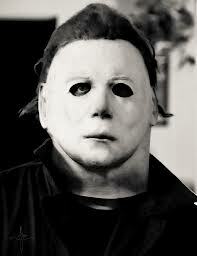 Halloween Fun Fact: Because the movie Halloween (1978) was on such a tight budget, they had to use the cheapest mask they could find for the character Michael Meyers, which turned out to be a William Shatner Star Trek mask. Shatner initially didn�t know the mask was in his likeness, but when he found out years later, he said he was honored. 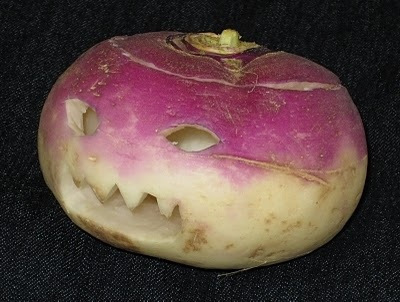 Halloween Fun Fact: The first Jack O�Lanterns were actually made from turnips. 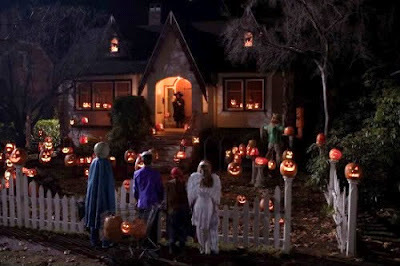 Halloween Fun Fact: Halloween is the second highest grossing commercial holiday after Christmas. 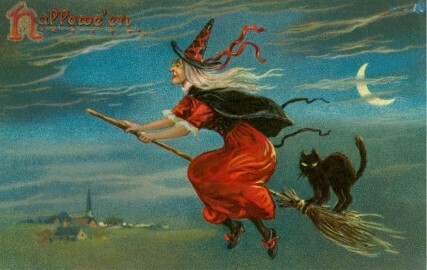 Halloween Fun Fact: The word "witch" comes from the Old English wicce, meaning "wise woman." In fact, wiccan were highly respected people at one time. According to popular belief, witches held one of their two main meetings, or sabbats, on Halloween night. 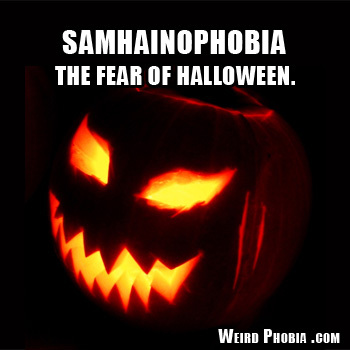 Halloween Fun Fact: Samhainophobia is the fear of Halloween. Halloween Fun Fact: Fifty percent of kids prefer to receive chocolate candy for Halloween, compared with 24% who prefer non-chocolate candy and 10% who preferred gum. Halloween Fun Fact: The owl is a popular Halloween image. 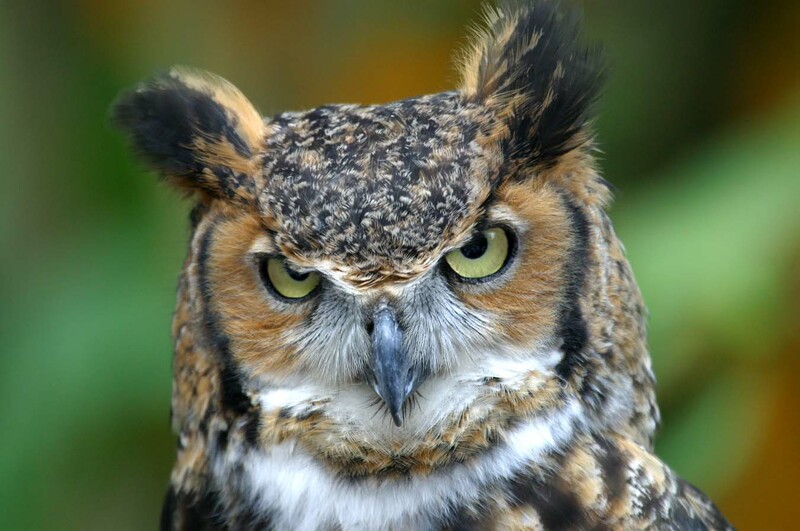 In Medieval Europe, owls were thought to be witches, and to hear an owl's call meant someone was about to die. 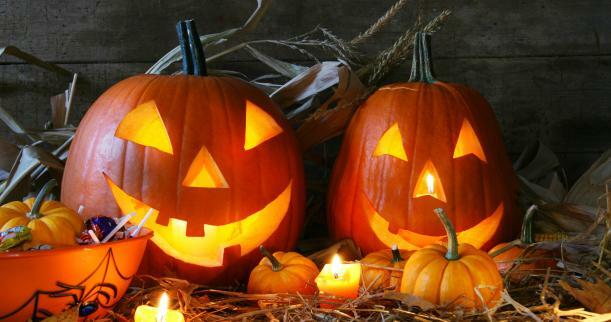 Halloween Fun Fact: According to Irish legend, Jack O�Lanterns are named after a stingy man named Jack who, because he tricked the devil several times, was forbidden entrance into both heaven and hell. He was condemned to wander the Earth, waving his lantern to lead people away from their paths. Halloween Fun Fact: 9.The largest pumpkin ever measured was grown by Norm Craven, who broke the world record in 1993 with a 836 lb. pumpkin. 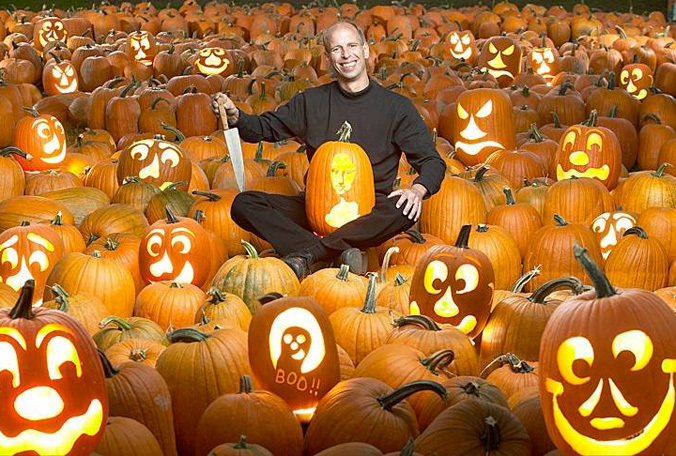 Halloween Fun Fact: Stephen Clarke holds the record for the world�s fastest pumpkin carving time: 24.03 seconds, smashing his previous record of 54.72 seconds. 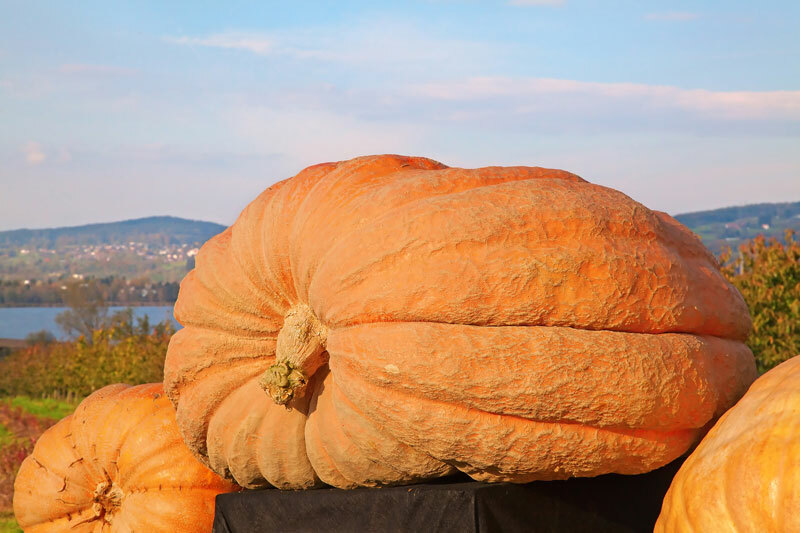 The rules of the competition state that the pumpkin must weigh less than 24 pounds and be carved in a traditional way, which requires at least eyes, nose, ears, and a mouth. Halloween Fun Fact: Trick-or-treating evolved from the ancient Celtic tradition of putting out treats and food to placate spirits who roamed the streets at Samhain, a sacred festival that marked the end of the Celtic calendar year. 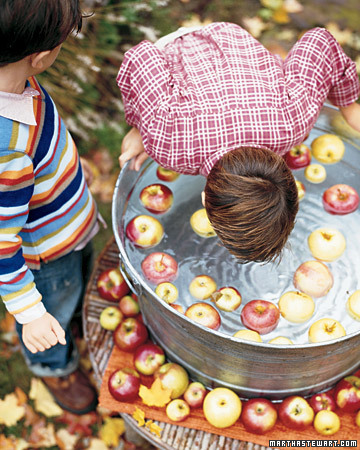 Halloween Fun Fact: "Souling" is a medieval Christian precursor to modern-day trick-or-treating. On Hallowmas (November 1), the poor would go door-to-door offering prayers for the dead in exchange for soul cakes. 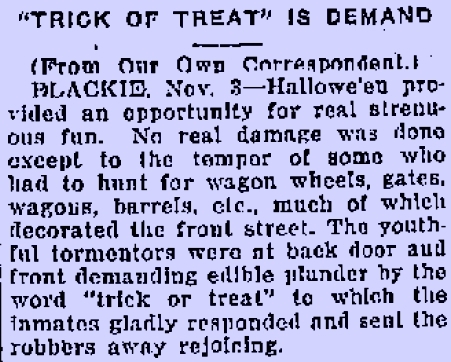 Halloween Fun Fact: The first known mention of trick-or-treating in print in North America occurred in 1927 in Blackie, Alberta, Canada. 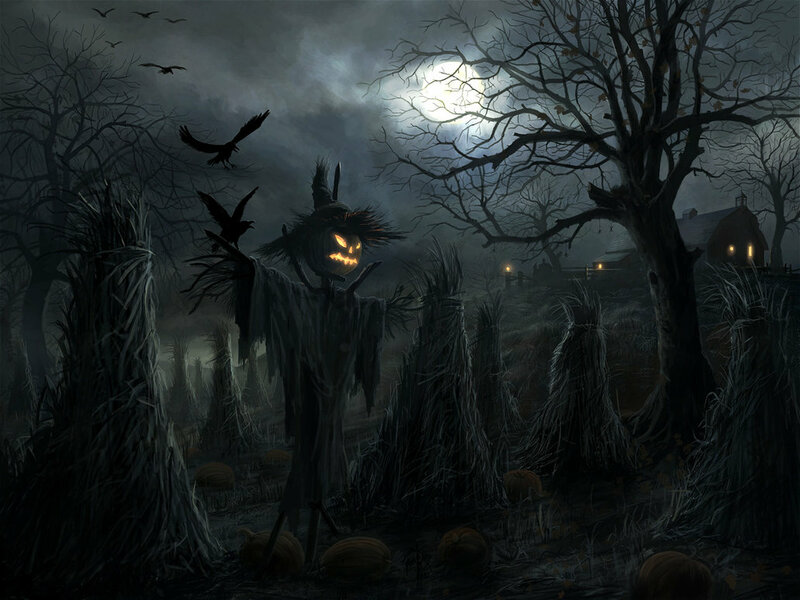 Halloween Fun Fact: "Halloween" is short for "Hallows' Eve" or "Hallows' Evening," which was the evening before All Hallows' (sanctified or holy) Day or Hallowmas on November 1. 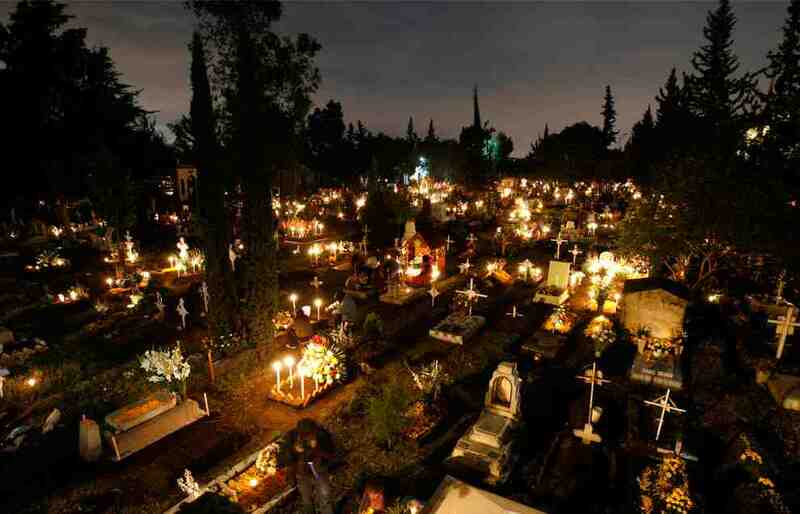 In an effort to convert pagans, the Christian church decided that Hallowmas or All Saints' Day (November 1) and All Souls' Day (November 2) should assimilate sacred pagan holidays that fell on or around October 31. 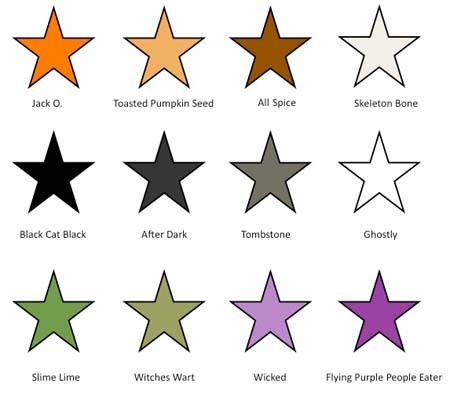 Halloween Fun Fact: Black and orange are typically associated with Halloween. Orange is a symbol of strength and endurance and, along with brown and gold, stands for the harvest and autumn. Black is typically a symbol of death and darkness and acts as a reminder that Halloween once was a festival that marked the boundaries between life and death. 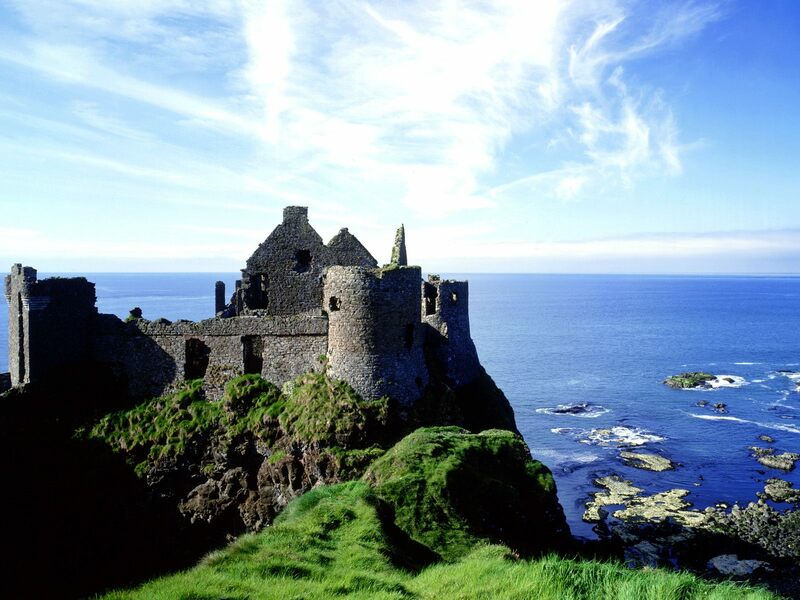 Halloween Fun Fact: Ireland is typically believed to be the birthplace of Halloween. 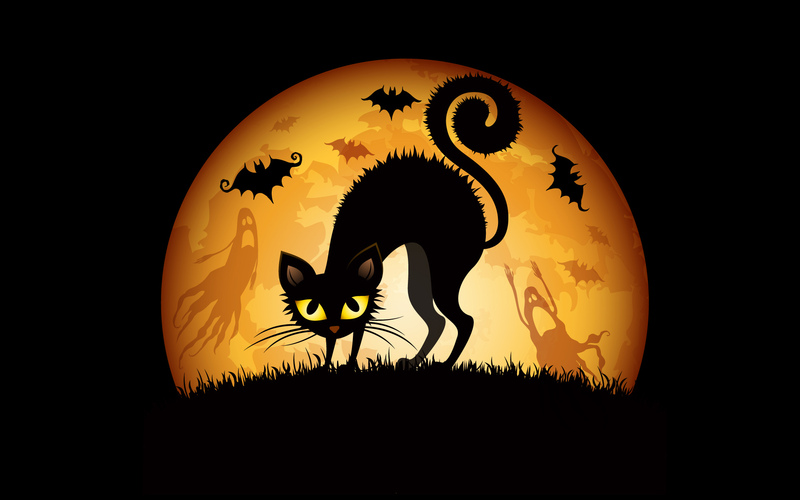 Halloween Fun Fact: With their link to the ancient Celtic festival of Samhain (a precursor to Halloween) and later to witches, cats have a permanent place in Halloween folklore. During the ancient celebration of Samhain, Druids were said to throw cats into a fire, often in wicker cages, as part of divination proceedings. Halloween Fun Fact: Scarecrows, a popular Halloween fixture, symbolize the ancient agricultural roots of the holiday. Halloween Fun Fact: Halloween has variously been called All Hallows� Eve, Witches Night, Lamswool, Snap-Apple Night, Samhaim, and Summer�s End. Halloween Fun Fact: Scottish girls believed they could see images of their future husband if they hung wet sheets in front of the fire on Halloween. 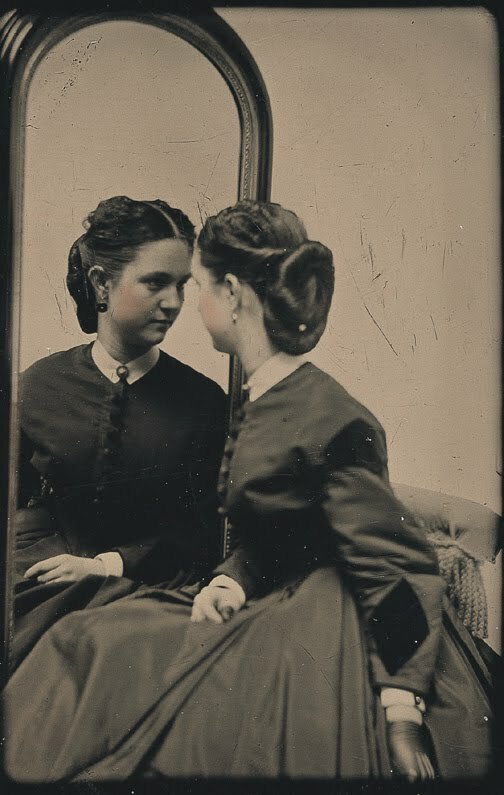 Other girls believed they would see their boyfriend�s faces if they looked into mirrors while walking downstairs at midnight on Halloween. Halloween Fun Fact: Because Protestant England did not believe in Catholic saints, the rituals traditionally associated with Hallowmas (or Halloween) became associated with Guy Fawkes Night. England declared November 5th Guy Fawkes Night to commemorate the capture and execution of Guy Fawkes, who co-conspired to blow up the Parliament in 1605 in order to restore a Catholic king. 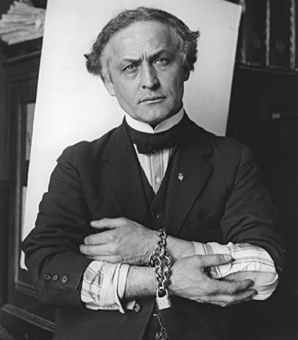 Halloween Fun Fact: Harry Houdini (1874-1926) was one of the most famous and mysterious magicians who ever lived. Strangely enough, he died in 1926 on Halloween night as a result of appendicitis brought on by three stomach punches. 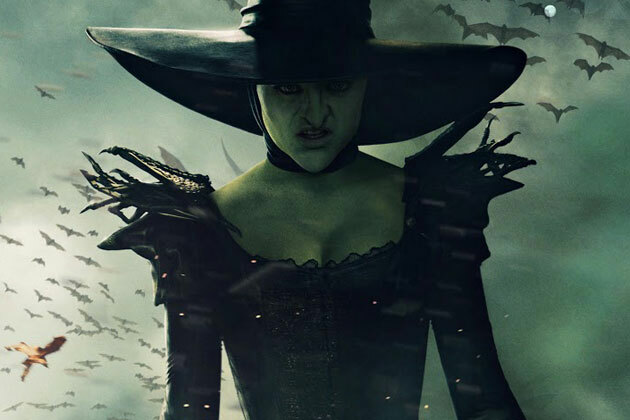 Halloween Fun Fact: According to tradition, if a person wears his or her clothes inside out and then walks backwards on Halloween, he or she will see a witch at midnight. 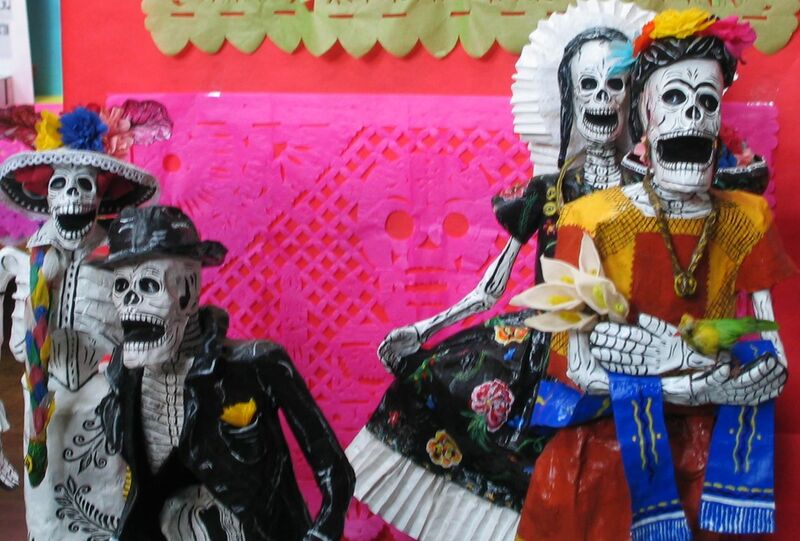 Halloween Fun Fact: Mexico celebrates the Days of the Dead (D�as de los Muertos) on the Christian holidays All Saints� Day (November 1) and All Souls� Day (November 2) instead of Halloween. 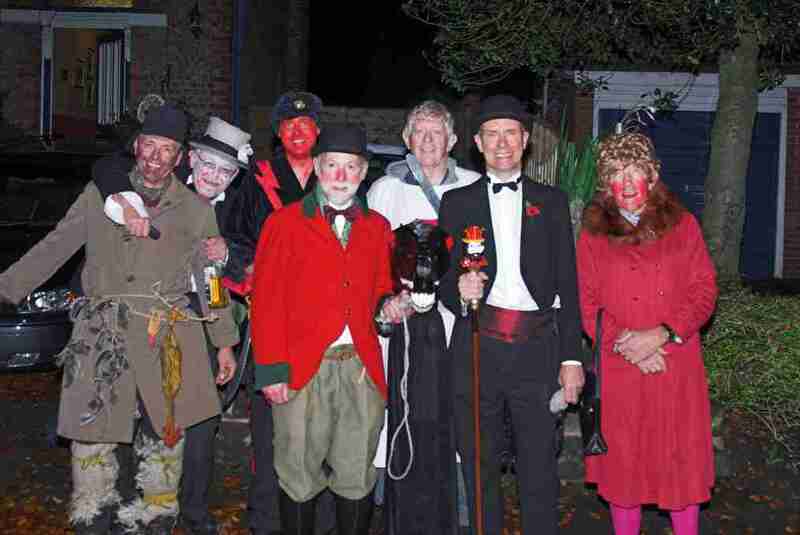 The townspeople dress up like ghouls and parade down the street. Halloween Fun Fact: During the pre-Halloween celebration of Samhain, bonfires were lit to ensure the sun would return after the long, hard winter. 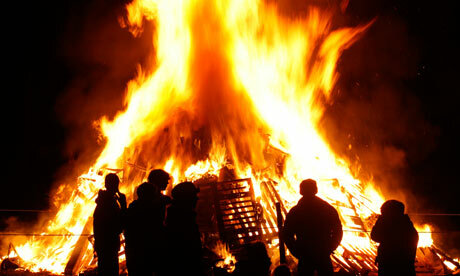 Often Druid priests would throw the bones of cattle into the flames and, hence, "bone fire" became "bonfire." 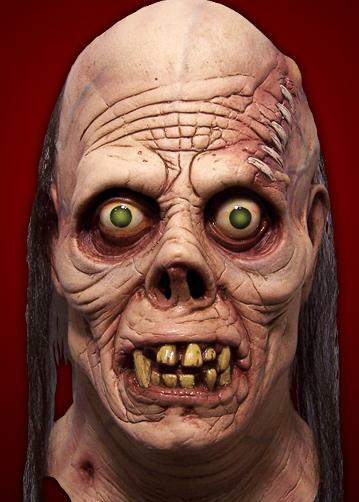 Halloween Fun Fact: Dressing up as ghouls and other spooks originated from the ancient Celtic tradition of townspeople disguising themselves as demons and spirits. The Celts believed that disguising themselves this way would allow them to escape the notice of the real spirits wandering the streets during Samhain. Halloween Fun Fact: The National Retail Federation expects consumers in 2010 to spend $66.28 per person�which would be a total of approximately $5.8 billion�on Halloween costumes, cards, and candy. That�s up from $56.31 in 2009 and brings spending back to 2008 levels. Halloween Fun Fact: According to the National Retail Federation, 40.1% of those surveyed plan to wear a Halloween costume in 2010. In 2009, it was 33.4%. Thirty-three percent will throw or attend a party. 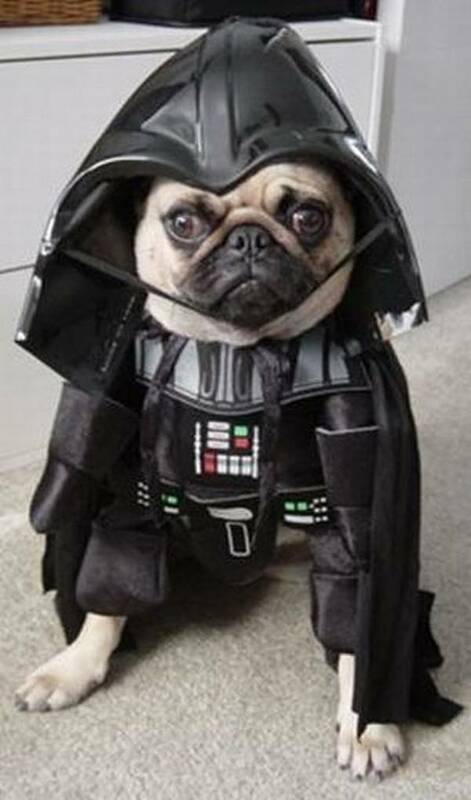 Halloween Fun Fact: In 2010, 72.2% of those surveyed by the National Retail Federation will hand out candy, 46.3% will carve a pumpkin, 20.8% will visit a haunted house, and 11.5% will dress up their pets. Halloween Fun Fact: Halloween is thought to have originated around 4000 B.C., which means Halloween has been around for over 6,000 years. 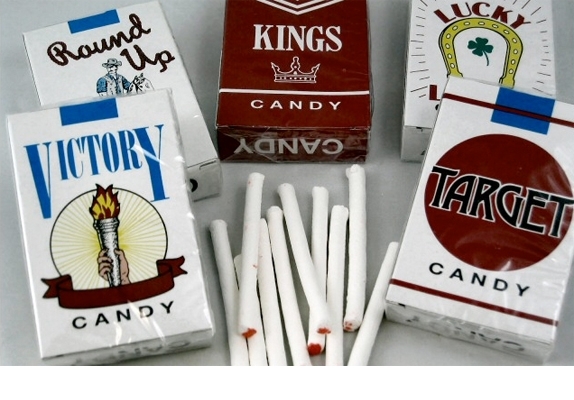 Halloween Fact: In 1970, a five-year-old boy Kevin Toston allegedly ate Halloween candy laced with heroin. Investigators later discovered the heroin belonged to the boy�s uncle and was not intended for a Halloween candy. 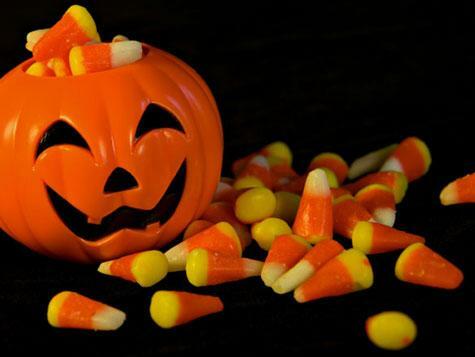 Halloween Fact: In 1974, eight-year-old Timothy O�Bryan died of cyanide poisoning after eating Halloween candy. Investigators later learned that his father had taken out a $20,000 life insurance policy on each of his children and that he had poisoned his own son and also attempted to poison his daughter. 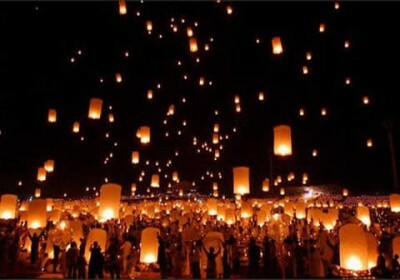 Halloween Fun Fact: Teng Chieh or the Lantern Festival is one Halloween festival in China. 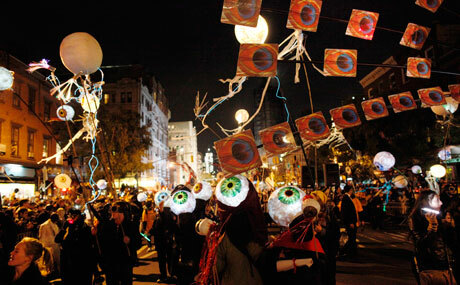 Lanterns shaped like dragons and other animals are hung around houses and streets to help guide the spirits back to their earthly homes. 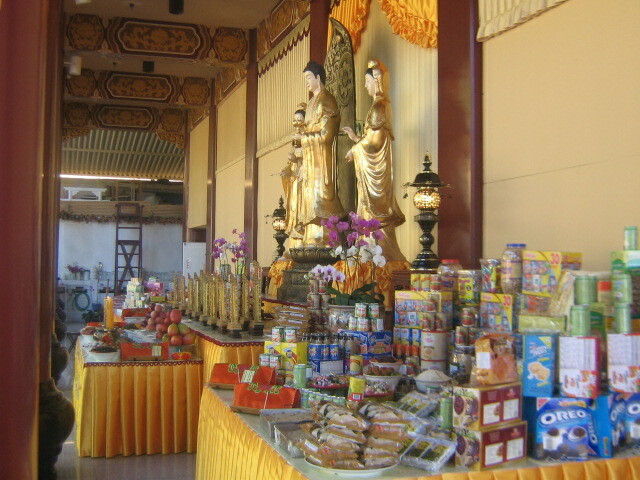 To honor their deceased loved ones, family members leave food and water by the portraits of their ancestors. Halloween Fun Fact: Halloween celebrations in Hong Kong are known as Yue Lan or the "Festival of the Hungry Ghosts" during which fires are lit and food and gifts are offered to placate potentially angry ghosts who might be looking for revenge. 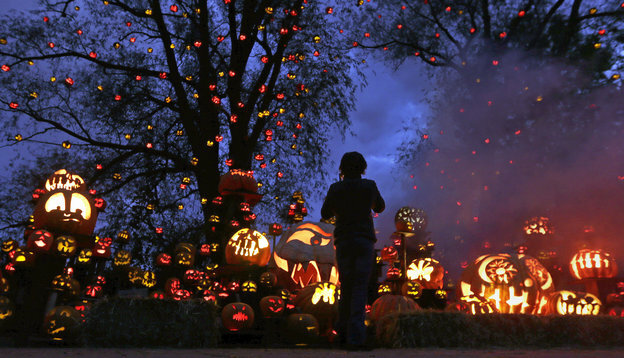 Halloween Fun Fact: Both Salem, Massachusetts, and Anoka, Minnesota, are the self-proclaimed Halloween capitals of the world. 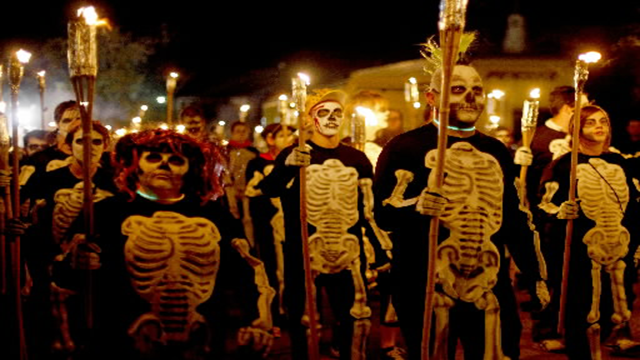 Halloween Fun Facts: The Village Halloween parade in New York City is the largest Halloween parade in the United States. The parade includes 50,000 participants and draws over 2 million spectators. 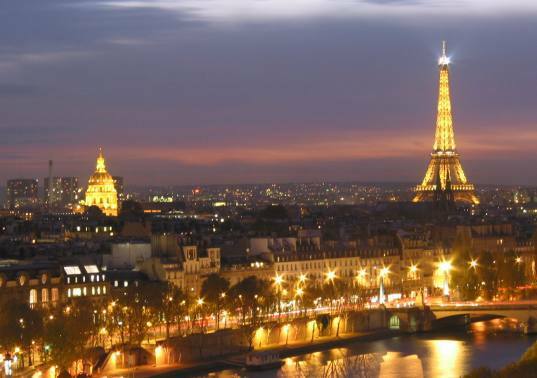 Halloween Fun Fact: In many countries, such as France and Australia, Halloween is seen as an unwanted and overly commercial American influence. Halloween Fun Fact: Children are more than twice as likely to be killed in a pedestrian/car accident on Halloween than on any other night. 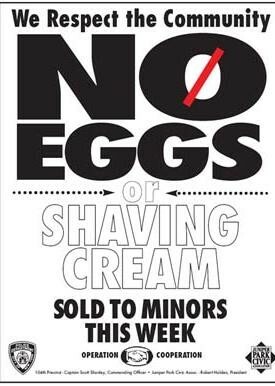 SO PLEASE BE SAFE OUT THERE!!!!!!! 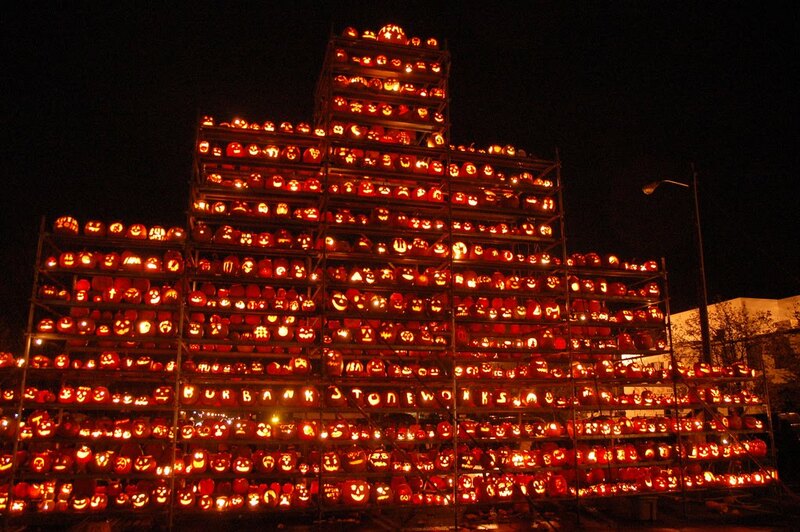 Halloween Fun Fact: Boston, Massachusetts, holds the record for the most Jack O�Lanterns lit at once (30,128). 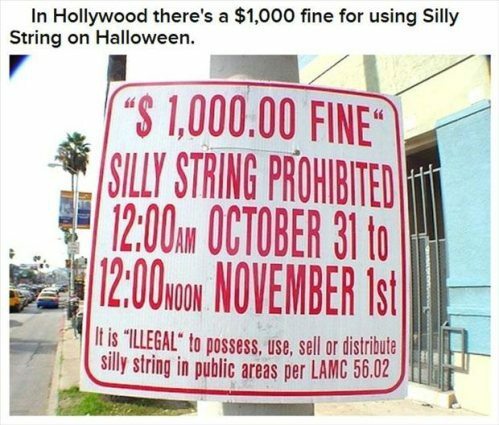 Halloween Fun Facts: In Hollywood there's a $1000 fine for using silly string on Halloween. 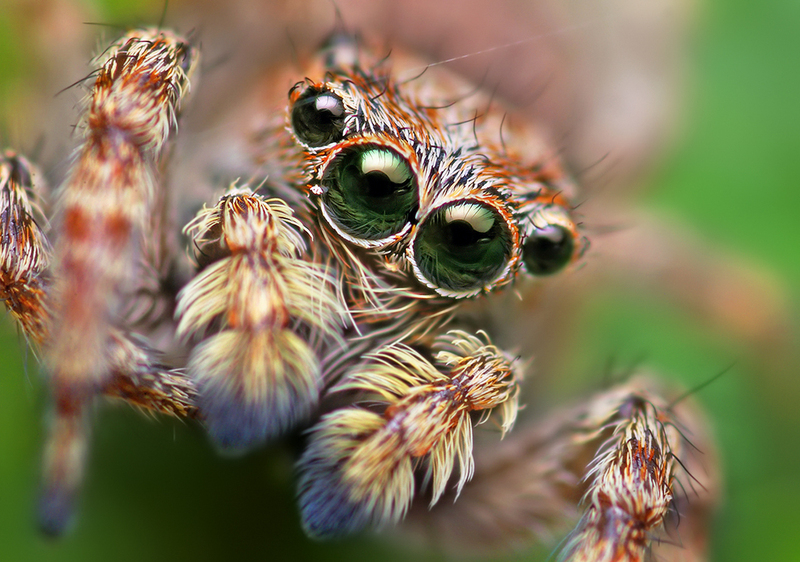 Halloween Fun Facts: According to legend, if you see a spider on Halloween, it's actually the spirit of a loved one watching you. 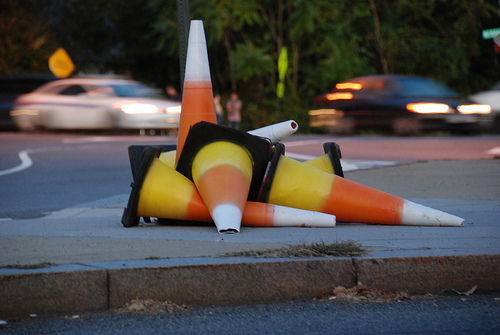 Halloween Fun Fact: October 30th is National Candy Corn Day. 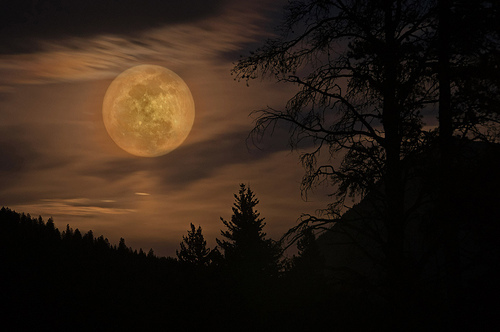 Halloween Fun Fact: It's actually very rare for a full moon to occur on Halloween. Although, it's predicted to occur on 10/31/2020. Halloween Fun Fact: While pumpkins are typically orange, they can also be green, white, red and gray. 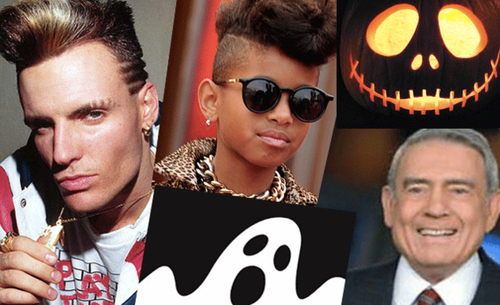 Halloween Fun Fact: Willow Smith, Dan Rather, and Vanilla Ice were all born on October 31st. 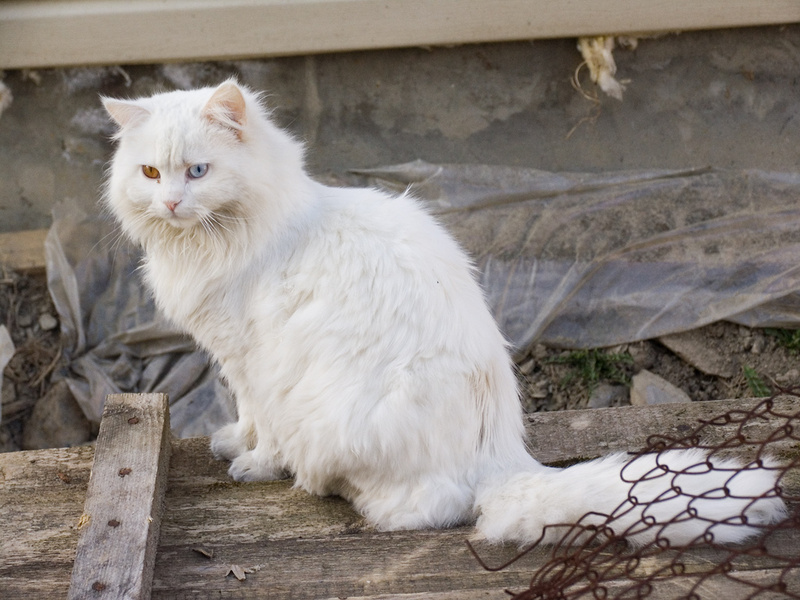 Halloween Fun Fact: In the UK white cats are thought to bring bad luck, not like black cats in the US. 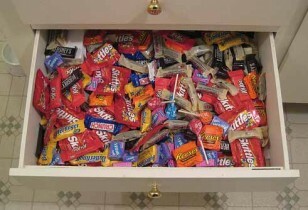 Halloween Fun Fact: Have leftover candy? Save it! Hard candy lasts for a year, while chocolate can last up to two. 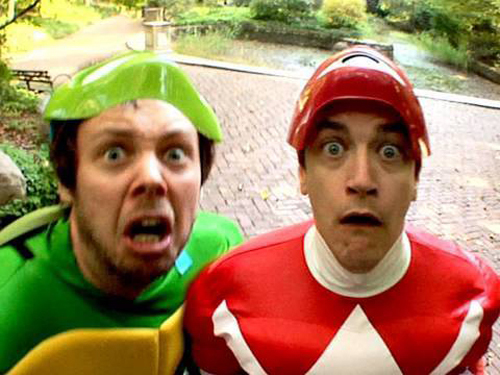 Halloween Fun Fact: Halloween can give you diarrhea. Seriously. Consuming too much candy with fructose and sorbitol can give you rhea. 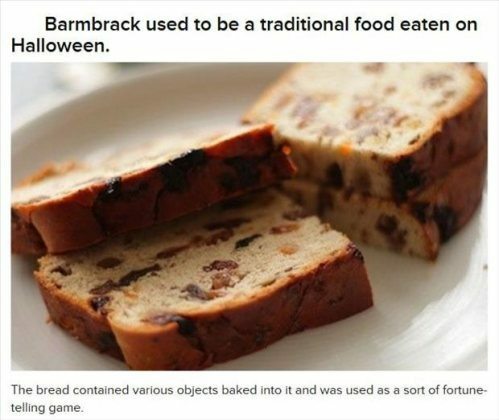 Halloween Fun Fact: Barmbrack used to be a traditional food eaten on Halloween. 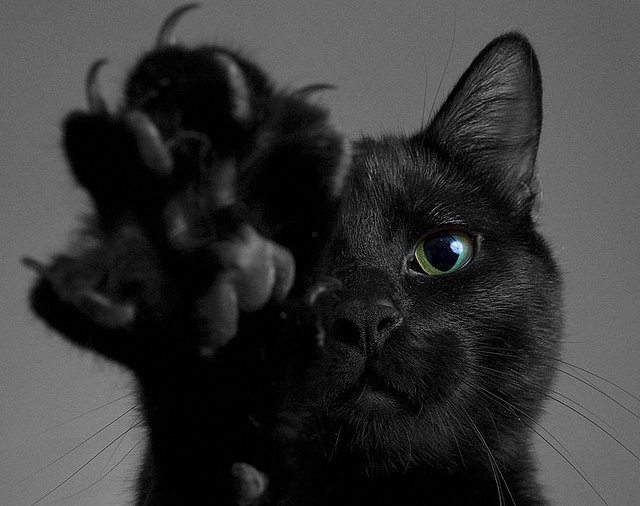 Halloween Fun Fact: Many shelters don't allow black cats to be adopted around Halloween for fear that they may be tortured or sacrificed. 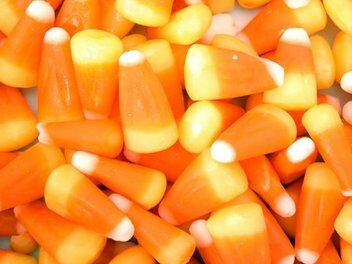 Halloween Fun Fact: Americans purchase over 20 million pounds of Candy Corn each year. 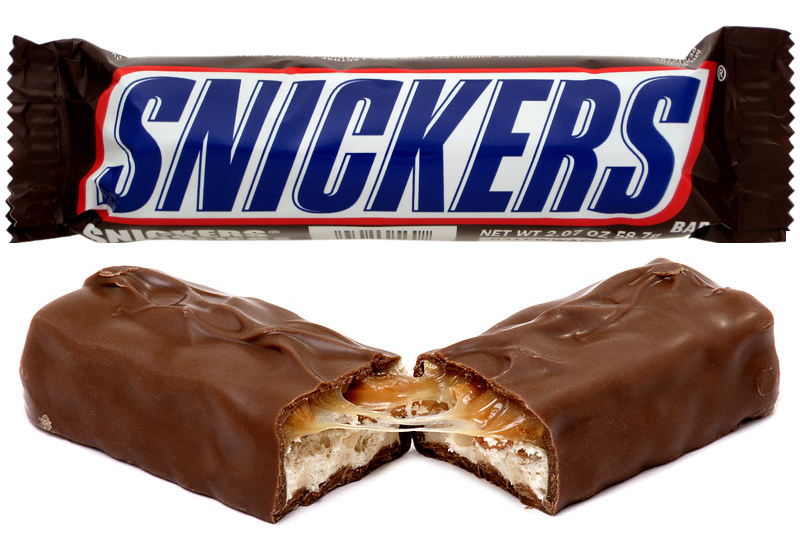 Halloween Fun Fact: The number one candy of choice is Snickers. 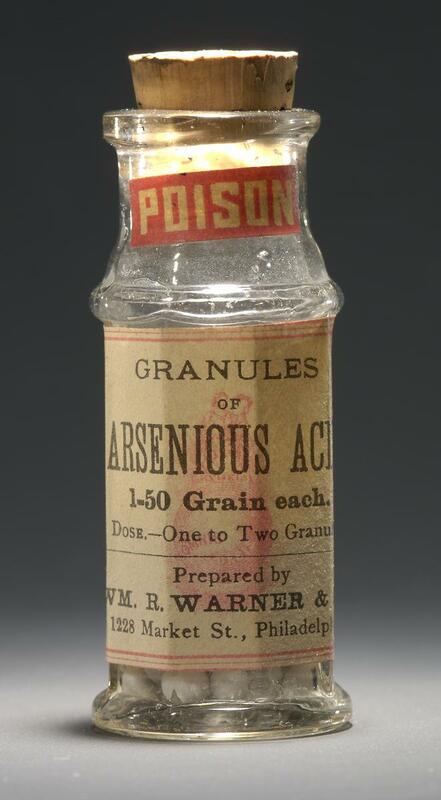 Halloween Fact: In 1964, Helen Pfeil of Greenlawn, NY was arrested for handing out arsenic laced treats as a prank on teens she deemed too old for trick or treating. Halloween Fun Fact: The tradition of adding pranks into the Halloween mix started to turn ugly in the 1930's and a movement began to substitute practical jokes for kids going door to door collecting candy. Halloween Fun Fact: About 99% of all pumpkinds sold are used as Jack 'O Lanterns for Halloween. 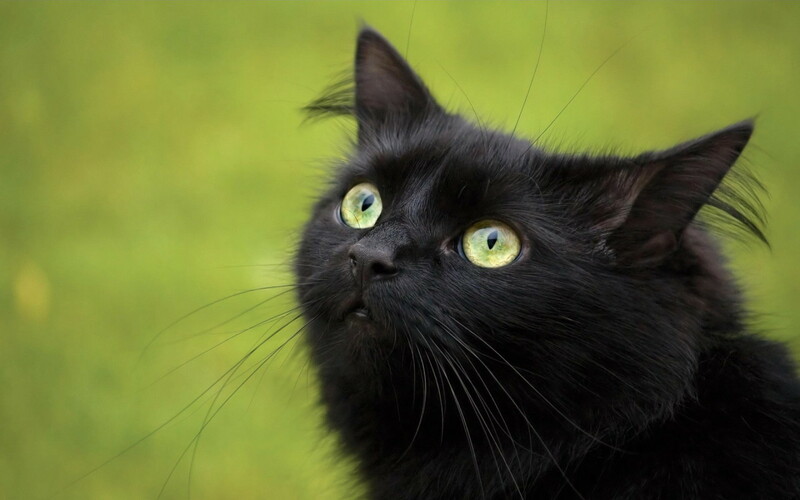 Halloween Fun Fact: Black cats get a bad rapon Halloween because they were once believed to be witch's subordinates who protected their master's dark powers. 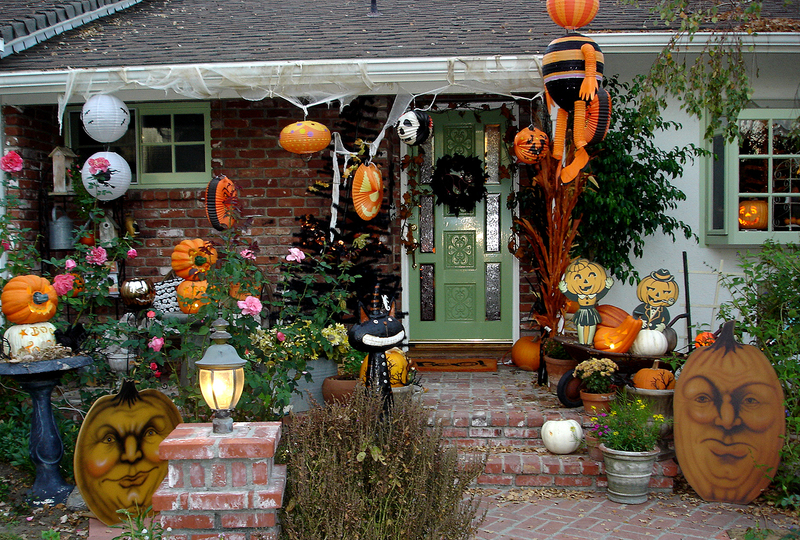 Halloween Fun Fact: 86% of Americans decorate their homes in celebration of Halloween. 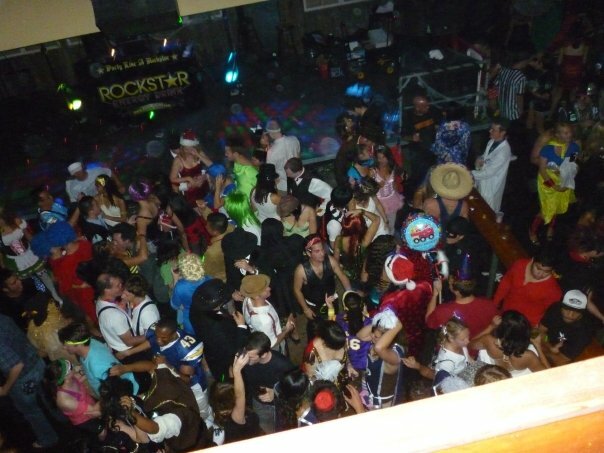 Halloween Fun Fact: Halloween is the third biggest party day of the year behind New Year's Eve and Super Bowl Sunday. 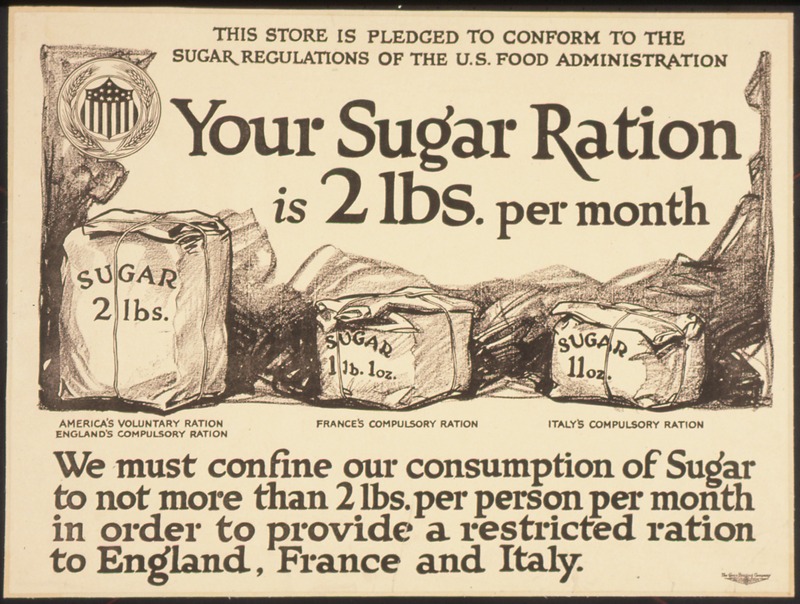 Halloween Fun Fact: World War II caused sugar rationing, which stalled trick-or-treating for a number of years. 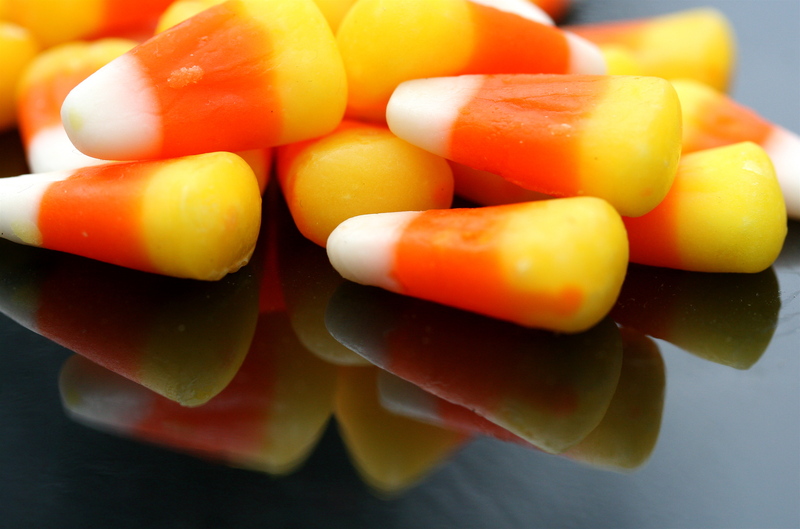 Halloween Fun Fact: Candy corn has been made with the same recipe by the Jelly Belly Candy Company since around 1900. Halloween Fun Facts: No matter how scary your local haunted house is, it probably can�t top the Haunted Cave in Lewisburg, Ohio. 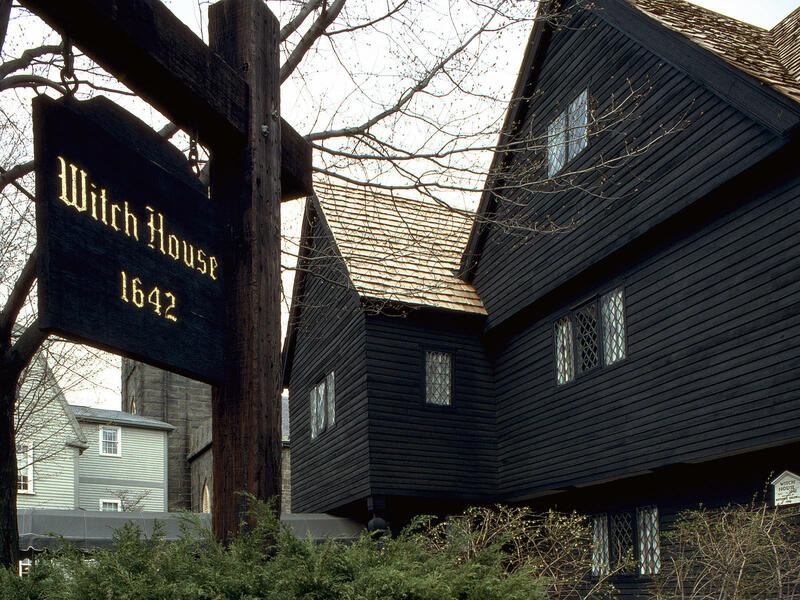 It measures 3,564 feet long, and Guinness World Records named it the world�s longest haunted house in 2010 (until it was beaten by a haunted house in Japan in 2011). 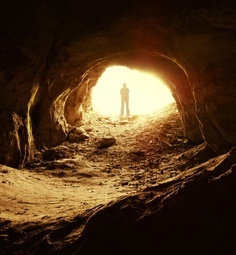 Even spookier: It�s located 80 feet below ground in an abandoned mine. Halloween Fun Fact: The U.S. Census Bureau estimates there will be 41.1 million trick-or-treaters ages 5 to 14 in America this year. 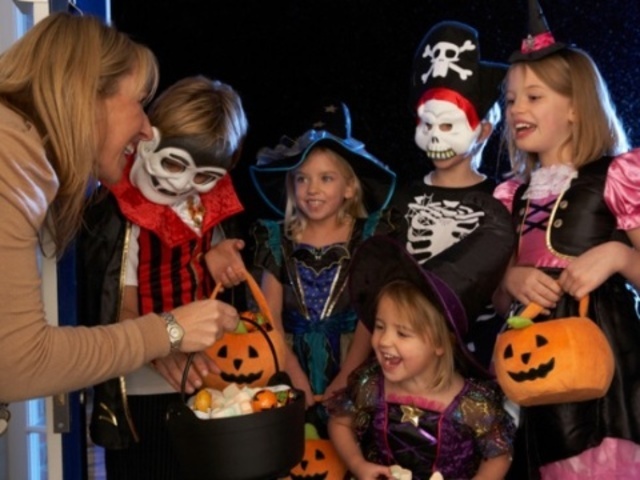 Parents are expected to spend $1.04 billion on children�s costumes-and if they�re on trend, most of the cash will go toward pumpkin, princess, witch or vampire getups. 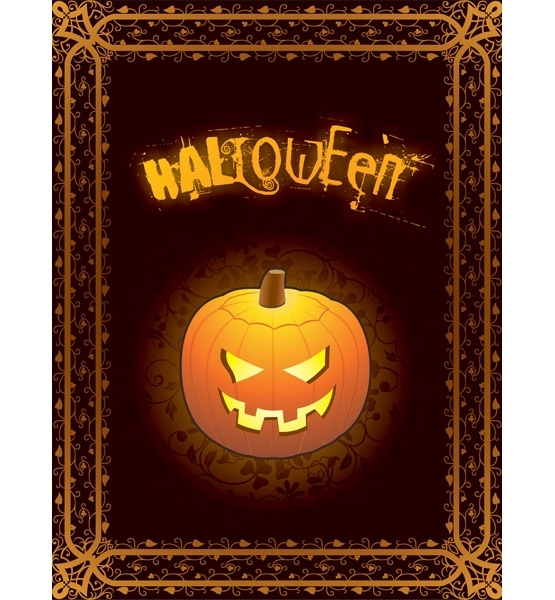 Halloween Fun Fact: Although the cards may be ghoulish, the sentiment is sweet�according to Hallmark, Halloween ranks as the sixth most popular card-giving holiday, with 19 million cards sent each year. Christmas comes in first place, with a whopping 1.6 billion cards sent each year. 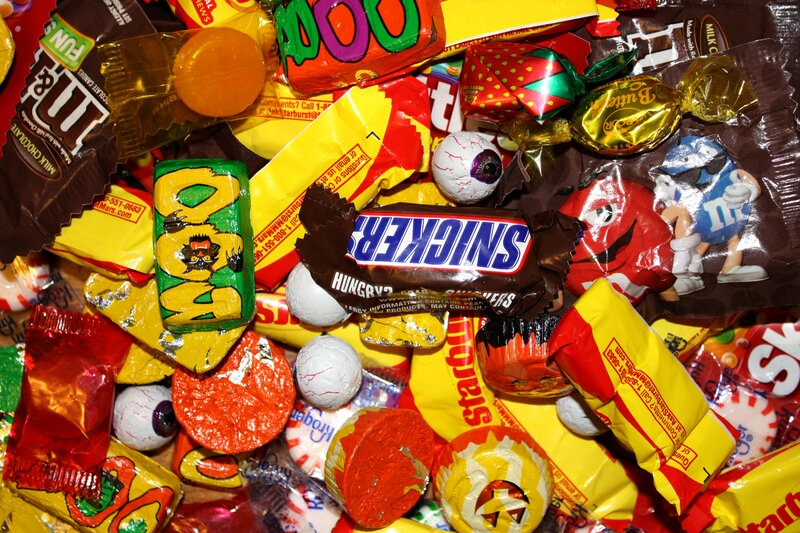 Halloween Fun Fact: Halloween candy coffers wouldn�t be the same without California. Why? 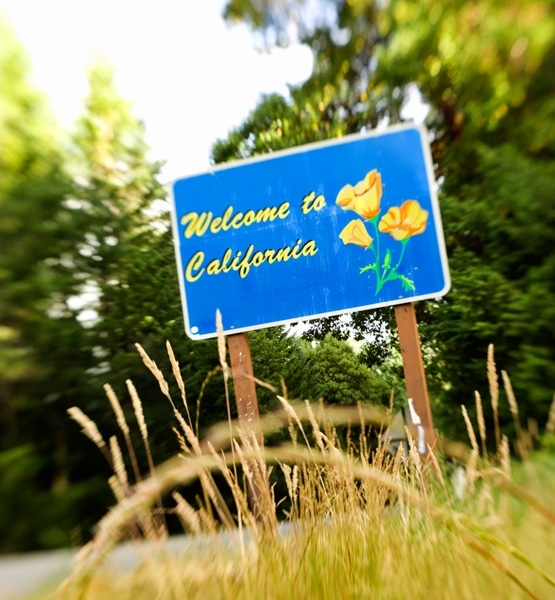 Because according to the U.S. Census Bureau, the Golden State leads the nation in nonchocolate confectionary production. Out of the 409 sites that manufacture nonchocolate confections in the U.S., California is home to 45 of them. 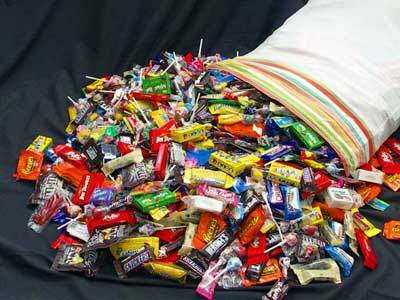 Halloween Fun Fact: In 1950, Philadelphia-based trick-or-treaters traded in a sweet tooth for a sweet action. In lieu of candy, residents collected change for children overseas and sent it to UNICEF. 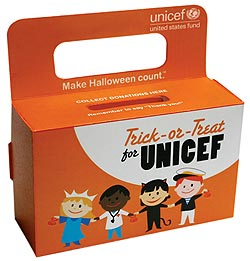 Subsequently, the Trick-or-Treat for UNICEF program was born. 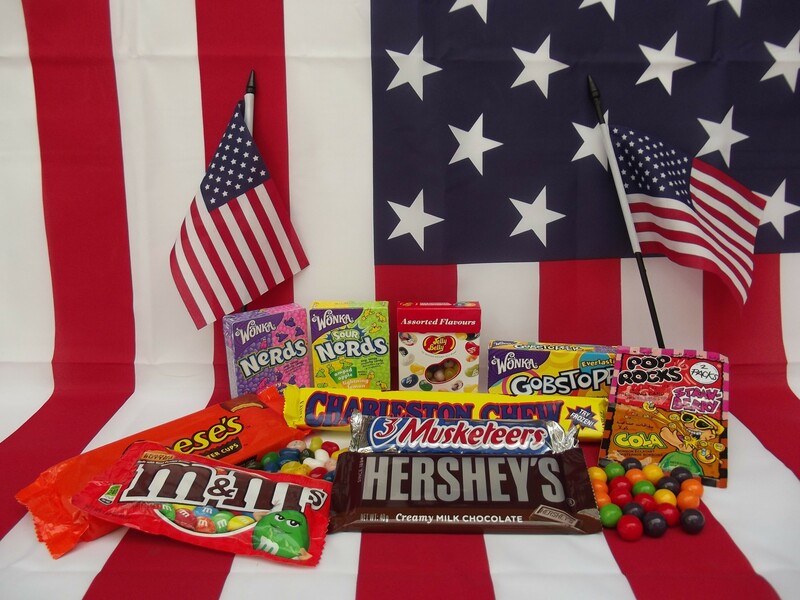 Halloween Fun Fact: Valentine's Day is no longer the sweetest national holiday�at least when it come to candy sales. More than twice as much chocolate is sold for Halloween as for Valentine�s Day; 90 million pounds of chocolate are sold during Halloween week alone. 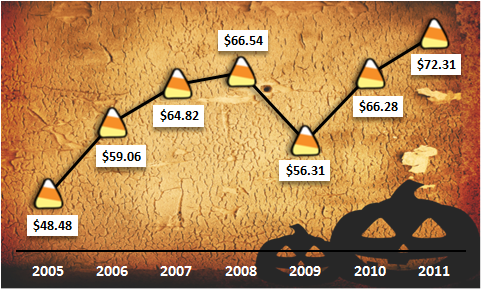 In total, $1.9 billion is spent on Halloween candy each year. 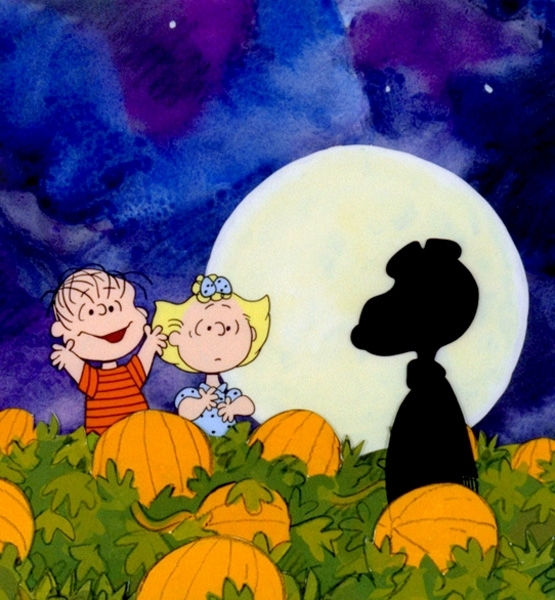 Halloween Fun Fact: It was just tricks�no treats�for Charlie Brown in It�s the Great Pumpkin, Charlie Brown. In the 1966 TV special, he utters, �I got a rock,� while trick-or-treating. The phrase went on to become one of the most famous lines in Peanuts history. 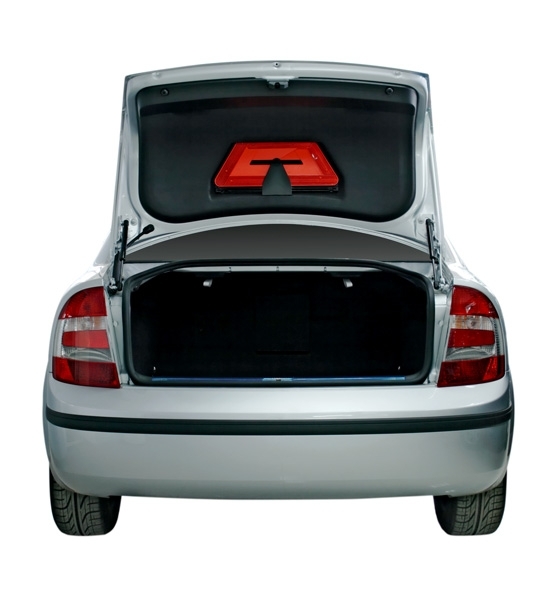 Halloween Fun Fact: Due to safety concerns, trunk-or-treating was introduced in 2000 as an alternative to hitting the pavement for candy on Halloween night. Cars are parked in a circle at a school or church parking lot, with event-goers decorating their open trunks and dressing in costume in order to hand out treats. 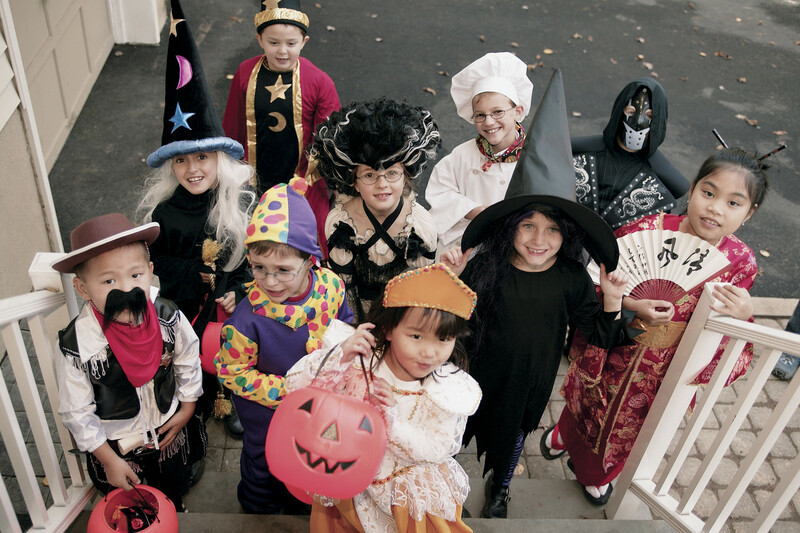 Halloween Fun Fact: In 2010, Belleville, Illinois, became the latest city to ban trick-or-treating for kids over 12. Teens can face fines from $100 to $1,000 for going door-to-door (although according to officials, more often than not, over-age Halloween-goers are just given a warning). 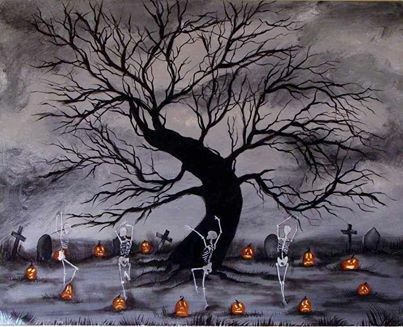 Halloween Fun Fact: Halloween was brought to North America by immigrants from Europe who would celebrate the harvest around a bonfire, share ghost stories, sing, dance and tell fortunes. 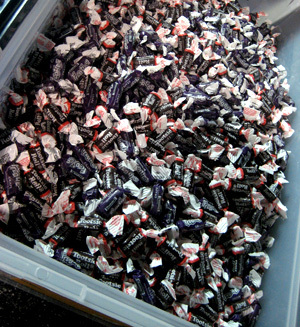 Halloween Fun Fact: Tootsie Rolls were the first wrapped penny candy in America. 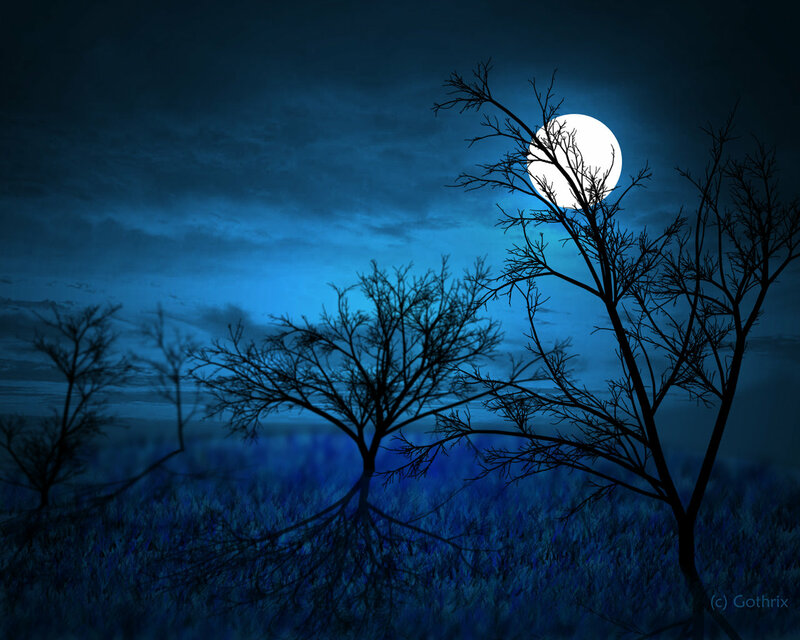 Halloween Fun Fact: The ancient Celts thought that spirits and ghosts roamed the countryside on Halloween night. 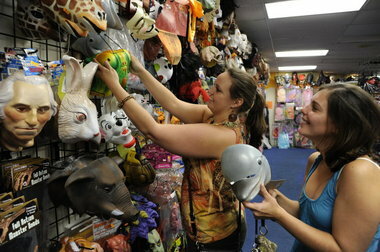 They began wearing masks and costumes to avoid being recognized as human. 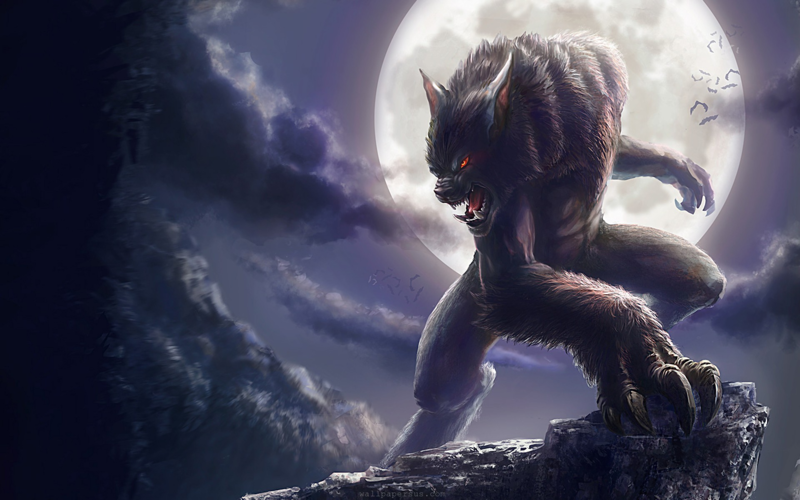 Halloween Fun Fact: Signs of a werewolf are a unibrow, hair palms, tattoos, and a long middle finger. 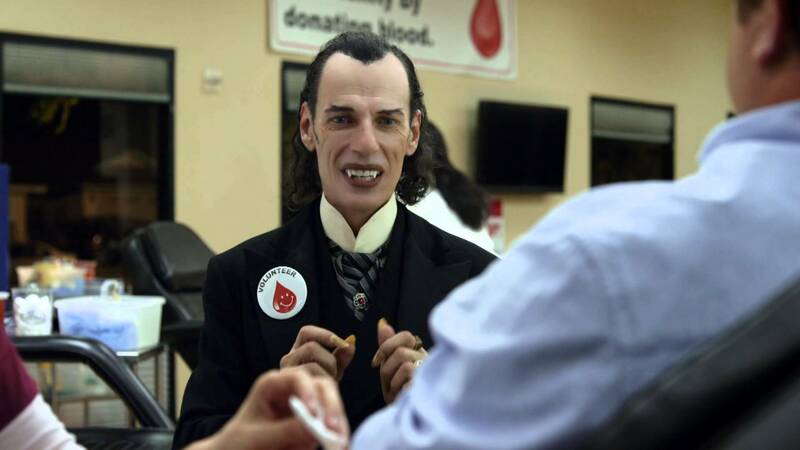 Halloween Fun Fact: Vampires are mythical beings who defy death by sucking the blood of humans. 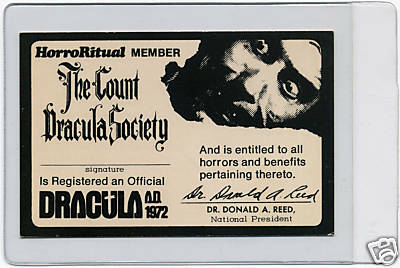 Halloween Fun Fact: In 1962, The Count Dracula Society was founded by Dr. Donald A. Reed. 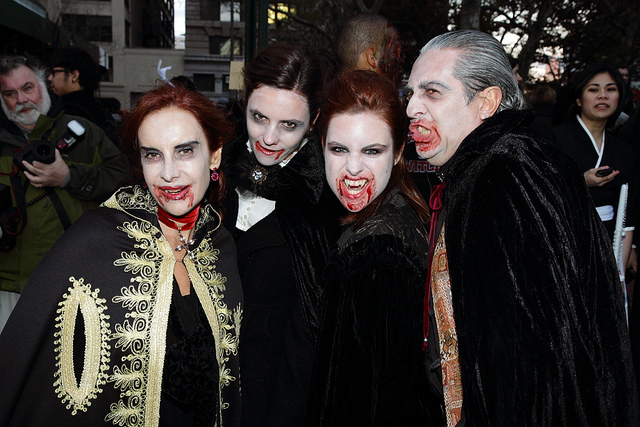 Halloween Fun Fact: To this day, there are vampire clubs and societies with people claiming to be real vampires. 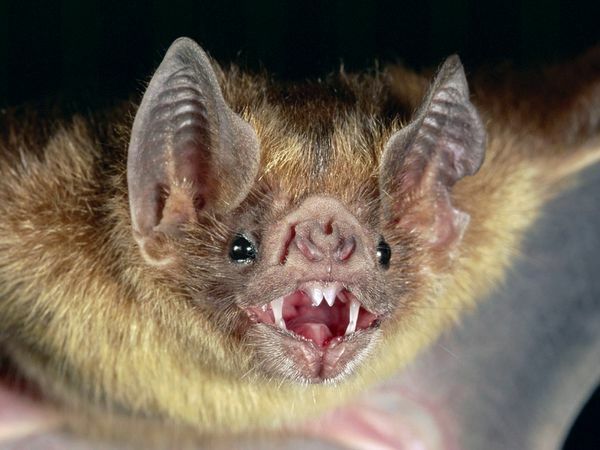 Halloween Fun Fact: There really are so-called vampire bats, but they're not from Transylvania. They live in Central and South America and feed on the blood of cattle, horses and birds. 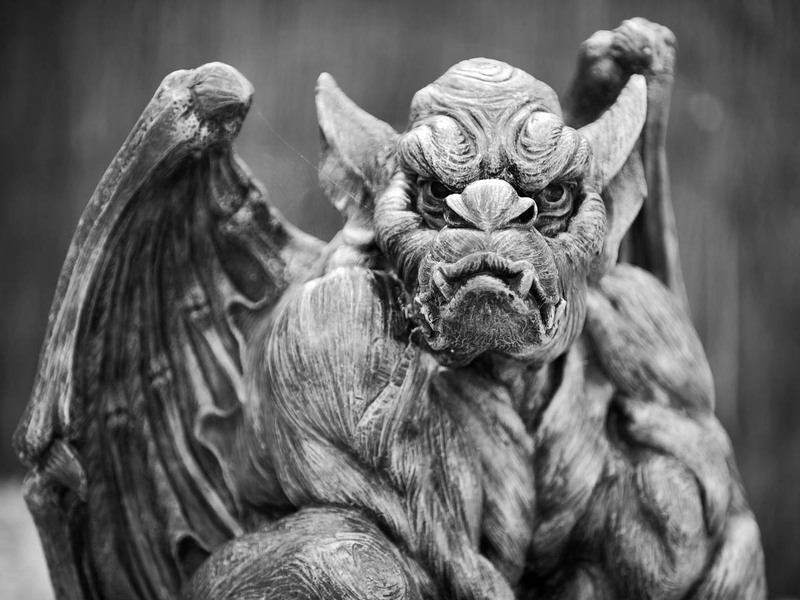 Halloween Fun Fact: Many people still believe that gargoyles were created by medieval architects and stone carvers to ward off evil spirits. Halloween Fun Fact: The pumpkin originated in Mexico about 9,000 years ago. It is one of America's oldest known vegetables. Pumpkins generally weigh from 15-to-30 pounds, although some weigh as much as 200 pounds. 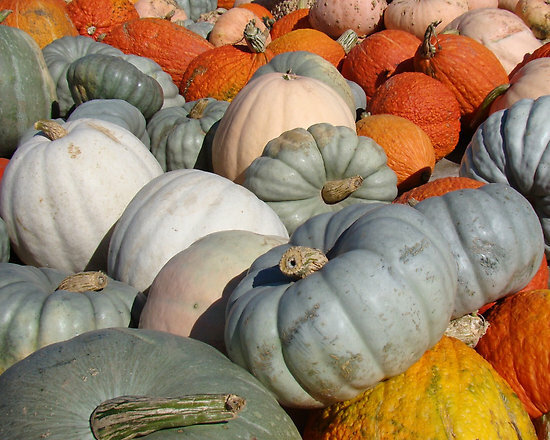 The majority of pumpkins are orange, but they also can be white, yellow or striped. They are rich in vitamin A, beta-carotene and potassium, and their seeds provide protein and iron. 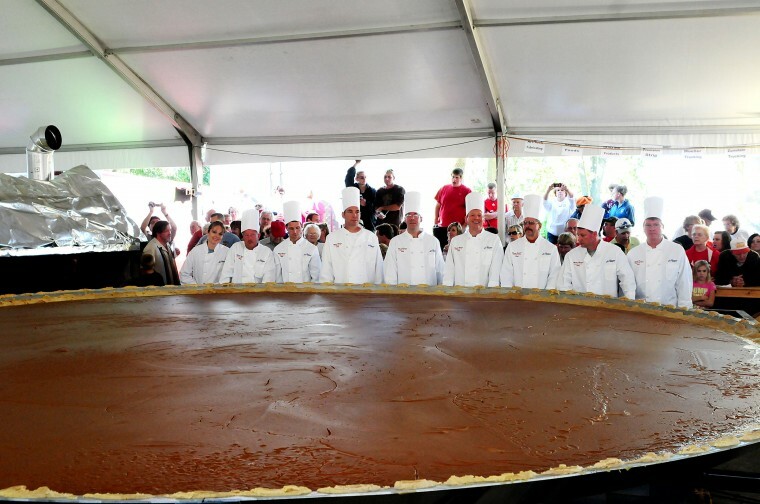 Halloween Fun Fact: The biggest pumpkin pie on record was 20 feet in diameter and weighed 3,699 pounds. 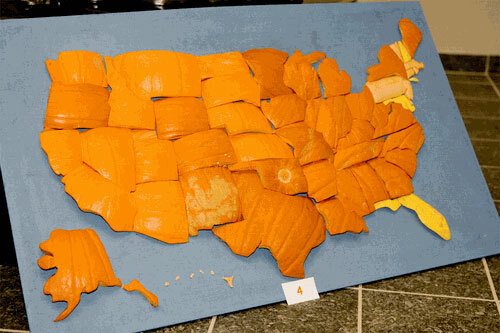 It was baked by the New Breman Giant Pumpkin Growers in Ohio in 2010, breaking their own previous world's record of 2,020 pounds. The ginormous orange pie contained 1,212 pounds of pumpkin, 233 dozen eggs, 109 gallons of evaporated milk, 525 pounds of sugar, 7 pounds of salt, and 14.5 pounds of cinnamon. 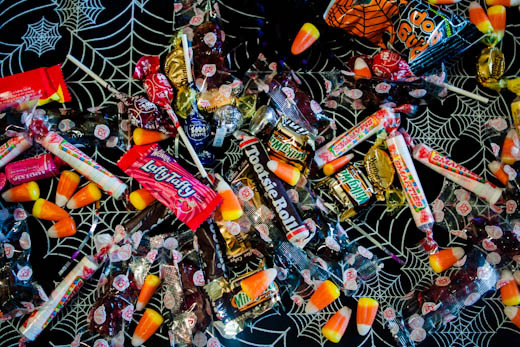 Halloween Fun Fact: The per person consumption of candy by Americans in 2010 was an astounding 24.7 pounds, according to the U.S. Census Bureau. Halloween Fun Fact: If Brach's laid out the candy corn kernels it sells each year end to end, they would wrap around the Earth 4.25 times. 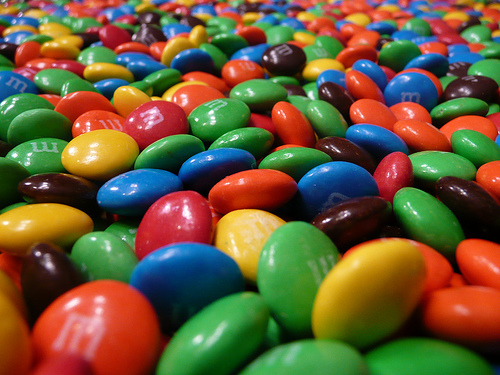 Halloween Fun Fact: The M&M in M&M's stands for Mars and Murrie. Forrest Mars, Sr., and Bruce Murrie launched the candy. Halloween Fun Fact: The Reese in Reese's Peanut Butter Cups is Harry Burnett Reese, a former Hershey employee who created his famous candy in the 1920s. 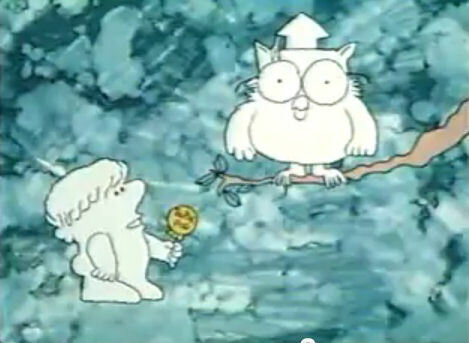 Halloween Fun Fact: How many licks does it take to get to the center of a Tootsie Pop? On average, a licking machine designed by engineering students at Purdue needed 364. 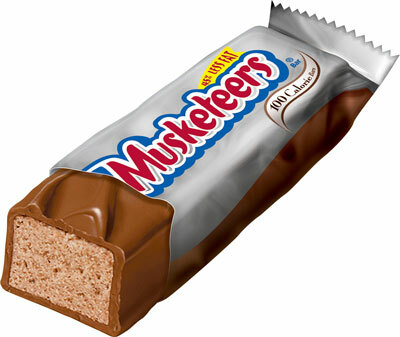 Halloween Fun Fact: When the treat was introduced in the 1930s, a 3 Musketeers consisted of separate chocolate, vanilla, and strawberry pieces, hence the name. 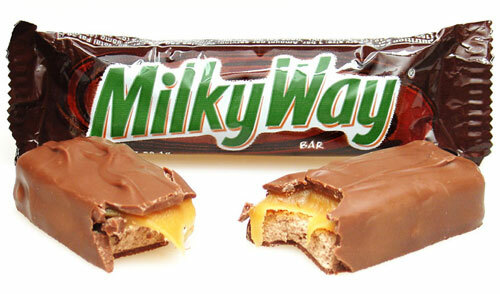 Halloween Fun Fact: Milky Way bars weren't named after their home galaxy. The name comes from a type of malted milkshake that was popular in the early 1920s. Halloween Fun Fact: Mary Janes were first manufactured in 1914 by the Charles N. Miller Company. 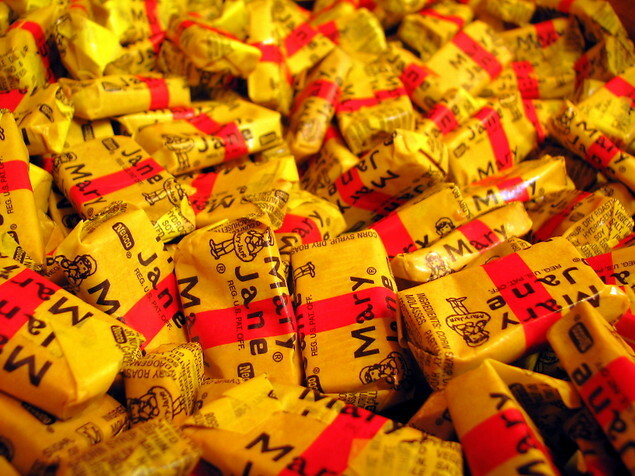 The candy was named after the owner's aunt. 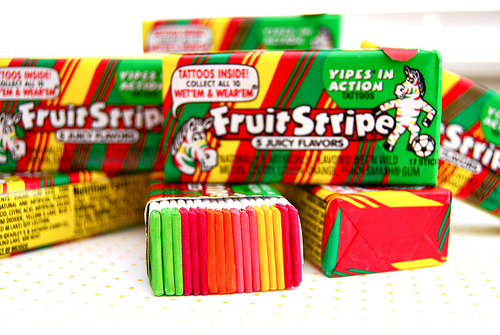 Halloween Fun Fact: Fruit Stripe's zebra mascot is named Yipes. 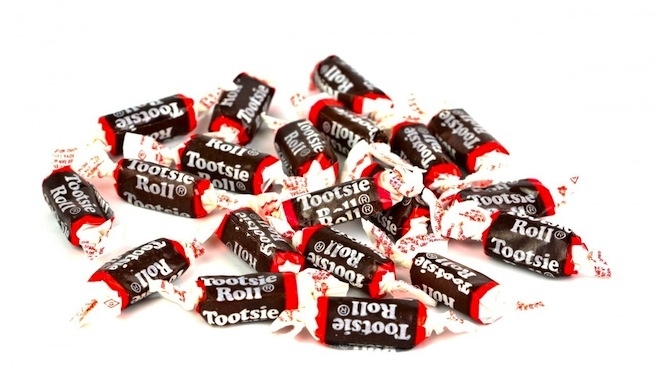 Halloween Fun Fact: During World War II, Tootsie Rolls were added to soldiers' rations because of their durability in all weather conditions. 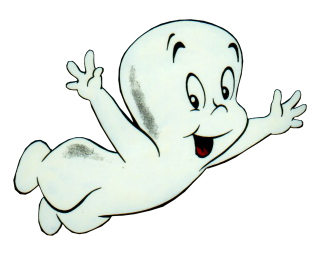 Halloween Fun Fact: Casper the friendly ghost first appeared in a series titled "Noveltoons" in 1946. 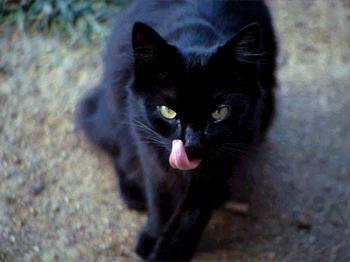 Halloween Fun Fact: An old North American superstition states that if a black cat crosses your path, it is an omen of bad luck. 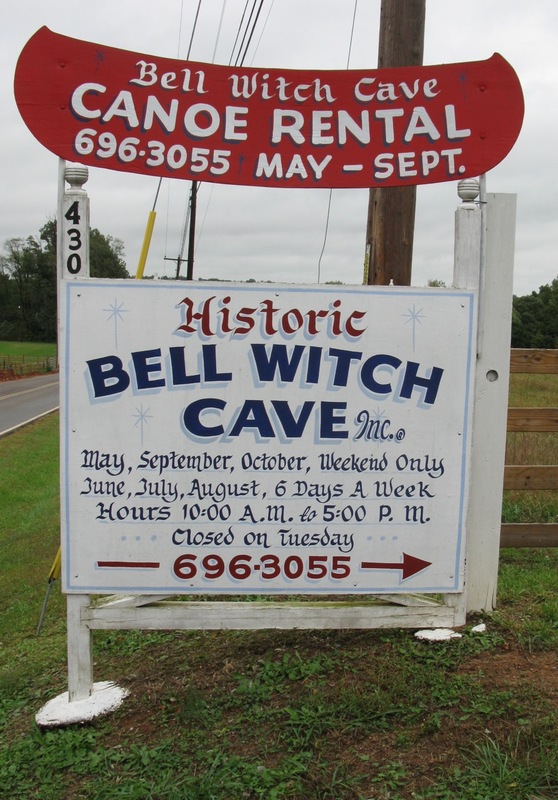 Halloween Fun Fact: The Bell Witch Cave is one of the most active haunted spots in America according to American Ghost Society. Halloween Fun Fact: CSI: NY had an episode titled "Boo". 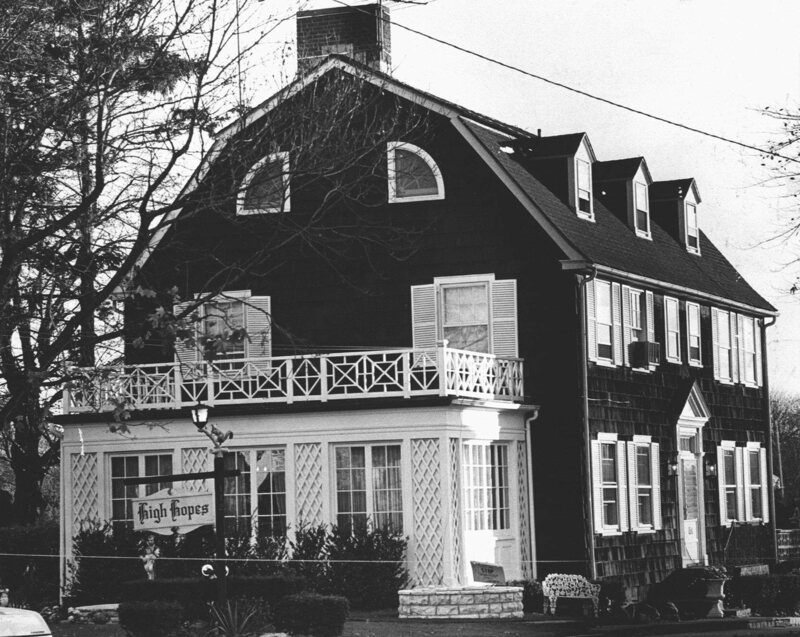 This episode aired on October 31, 2007 and took place in Amityville. 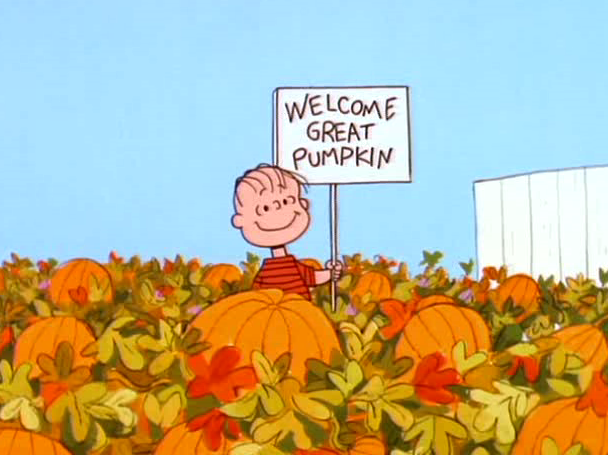 Halloween Fun Fact: Linus is the only one in the Peanuts gang who believes in the Great Pumpkin. 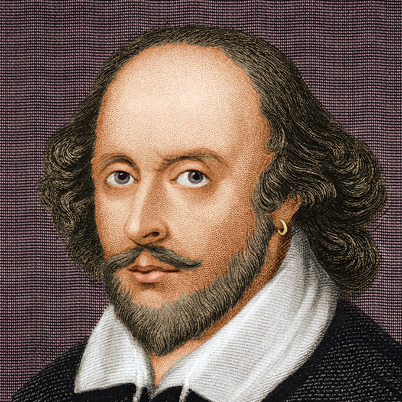 Halloween Fun Fact: William Shakespeare was the author of the poem "The Witches Spell", a fun Halloween poem. 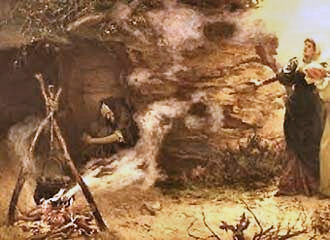 The Witches' Spell by William Shakespeare A dark Cave. In the middle, a Caldron boiling. Thunder. Enter the three Witches. 1 WITCH. Thrice the brinded cat hath mew'd. 2 WITCH. 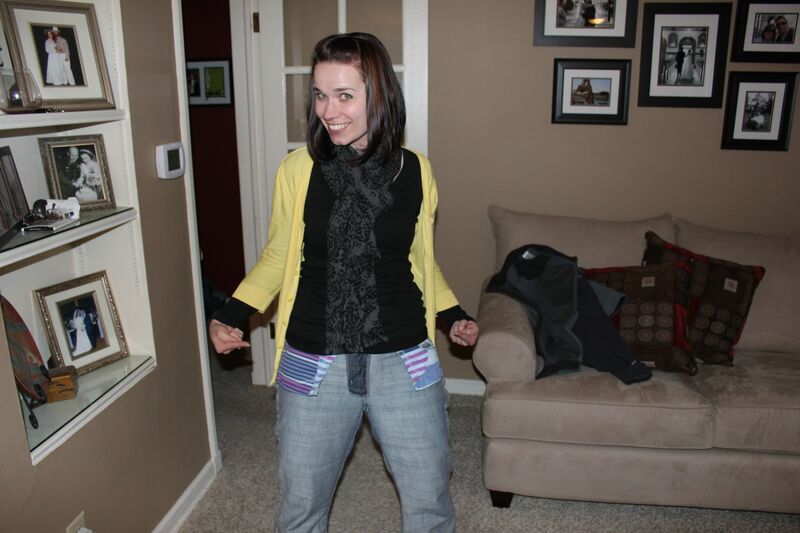 Thrice and once, the hedge-pig whin'd. 3 WITCH. Harpier cries:�'tis time! 'tis time! 1 WITCH. Round about the caldron go; In the poison'd entrails throw.� Toad, that under cold stone, Days and nights has thirty-one; Swelter'd venom sleeping got, Boil thou first i� the charmed pot! ALL. Double, double toil and trouble; Fire burn, and caldron bubble. 2 WITCH. Fillet of a fenny snake, In the caldron boil and bake; Eye of newt, and toe of frog, Wool of bat, and tongue of dog, Adder's fork, and blind-worm's sting, Lizard's leg, and owlet's wing, For a charm of powerful trouble, Like a hell-broth boil and bubble. ALL. Double, double toil and trouble; Fire burn, and caldron bubble. 3 WITCH. 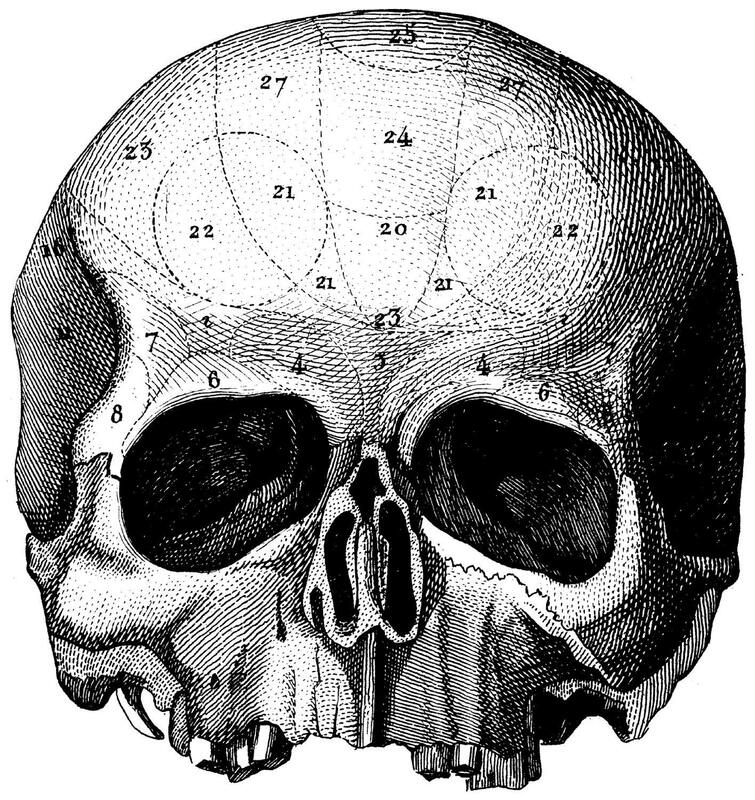 Scale of dragon; tooth of wolf; Witches' mummy; maw and gulf Of the ravin'd salt-sea shark; Root of hemlock digg'd i the dark; Liver of blaspheming Jew; Gall of goat, and slips of yew Sliver'd in the moon�s eclipse; Nose of Turk, and Tartar's lips; Finger of birth-strangled babe Ditch-deliver'd by a drab, Make the gruel thick and slab: Add thereto a tiger's chaudron, For the ingrediants of our caldron. ALL. Double, double toil and trouble; Fire burn, and caldron bubble. 2 WITCH. Cool it with a baboon's blood, Then the charm is firm and good.